(or equivalent volume of homemade coconut milk) into a 1 pint mason jar. Heat to 115F (that is exactly 1 minute with my microwave). Many recipes suggest heating to 180F first and then letting it cool to 115, which I don’t bother doing because I’m either using freshly made coconut milk which is still warm or canned Coconut Milk. Next, add 1 Tbsp of store-bought coconut milk yogurt (I used plain So Delicious coconut milk yogurt that I bought at Whole Foods). You could also use a non-dairy yogurt starter or a spoon of regular yogurt. Either way, for future batches, just use 1 Tbsp of the previously made batch of yogurt. Place in a warm place for 8-24 hours (I put mine into my oven, off but with the oven light on, ideally it should incubate between 105F-112F; you can also use crock-pots, food dehydrators or yogurt makers). It produced a lovely tasting sour yogurt. However, much to my dismay, coconut milk yogurt does not thicken on its own(it doesn’t have the right proteins). and let them go for 48 hours. It worked! The result was a sour, tangy, and very pleasant beverage which I liked to pour over a bowl of fresh berries. Initially I used light coconut milk (it’s just so temptingly cheap at Trader Joe’s but it really can’t compete with full-fat coconut milk so I don’t buy it anymore). I enjoyed the beverage even more when I moved to homemade coconut milk or full-fat canned coconut milk. And my kefir grains started growing much faster once I started growing them in the full-fat milk. My grains have more than quadrupled in size since I bought them about three months ago (I now have some dormant kefir grains sitting in cow’s milk in my fridge) and they can ferment a can of coconut milk to the very sour that I enjoy in 24 hours or 2 cans in 48 hours (I like to do the latter since it’s less work). Please note that if you want to make yogurt without the use of thickeners like pectin or gelatin, you need the fat content of either homemade or full-fat canned coconut milk to get that creamy texture. (takes longer due to the guar gum content) or homemade coconut milk (separates more easily, sometimes the curd is so thick you can even skip the straining step, see note at bottom of recipe). When it’s done, I use the whey for smoothies and scrape that yogurt into a jar and store in the fridge until I’m ready to eat it. One of the following: Cheesecloth, muslin, linen, Yogurt Cheese Strainer. 1. Place room temperature coconut milk into a glass jar. Add kefir grains. Cover with paper towel or cheesecloth secured with the ring of a mason jar lid or an elastic band. 2. Let the kefir grains do their thing for 24-48 hours (tasting periodically to see if the culture has reached your desired sourness). 3. Strain the kefir culture through a metal strainer. Place the strained kefir grains into fresh milk to start the next culture. 4. 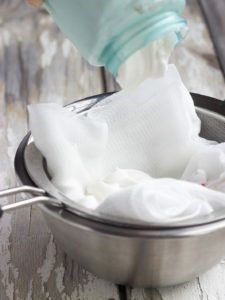 Line a metal sieve, colander or funnel with 12-14 layer thick cheesecloth (alternately you could use a yogurt cheese bag, a kefir strainer, a piece of muslin cloth or a clean linen tea towel). Place sieve over a medium-sized bowl to catch the whey. 5. Pour strained kefir culture into the cheesecloth-lined sieve and place the entire bowl and sieve into the refrigerator. After 1 hour, check the liquid in the bottom of the bowl and make sure that it is mostly clear (it will have a little opaque white swirling around in it, but it should look a lot like the liquidy whey from the top of a yogurt container). If it isn’t clear, dump it back into the cheese cloth and add another few layers of cheese cloth or a second nut-milk bag or even a coffee filter to strain out the whey. 6. Check how thick your yogurt is after about 4 hours. It will take anywhere between 4-24 hours to strain enough whey to have thick, creamy yogurt consistency (you can actually continue straining to make a fresh kefir cheese, although if you are going to attempt this, it’s better to strain at room temperature). Once the desired consistency is reached, scrape the yogurt into a bowl or container for storage and discard the whey (or better yet, use for another purpose). The yield is approximately 1 cup of yogurt for 1 can of coconut milk. 7. Enjoy the yogurt plain (maybe with some berries or Paleo granola) or flavor with honey, vanilla and/or pureed fruit. To make a lovely vanilla yogurt, add 1 Tbsp honey and 1 tsp alcohol-free vanilla extract. For fruit yogurts, I typically add ¼ cup pureed fresh or frozen fruit to 1 cup of yogurt. Stir to incorporate and enjoy! for the next batch. If the curd is really thick, I might even thin a bit with the whey that naturally separates out to the bottom (I always save this whey for smoothies). If the yogurt has a bit of a curdled texture (this can happen in a cooler kitchen), a quick blend in a blender will smooth it out. So, not only is homemade kefir “yogurt” cheaper and better tasting when made with homemade coconut milk, but it’s easier too! So what do I do if I cannot use cows milk (due top allergies), would this work with water kefir grains?? Fab fab recipe though, thank you!! You have to use milk kefir grains, but the grains themselves don’t contain milk (they are called that because that’s what they like to grow in). They arrive dormant, which is why you have to start them in cow’s milk. But, you can throw out the starter batches of milk kefir (that’s what I did). I also rinsed the grains with bottled water before putting them into coconut milk. After the first batch of coconut milk kefir, there should be no trace milk proteins at all. Is there a reason you need to use the milk grains instead of water crystals? I’m trying to decide which to buy, and I’m a little confused. BTW, wonderful site. I’m currently 9 months pregnant with our first, and would really like to go Paleo for postpartum recovery and beyond. We already eat all organic and don’t do really well with most grains or dairy, so it’s not a huge stretch. However, it is super encouraging to see a REAL person with a REAL family making this lifestyle work. 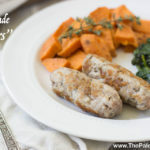 So many Paleo sites are great for information but low on inspiration because they seem to be geared toward the young and single workoutaholic set who have all the time in the world on their hands. When that’s no longer you, it is kind of disheartening. Thanks for sticking up for the families! Milk grains are different strains which do better in the higher fat environment of coconut milk. They don’t actually contain milk, they are only named that because it is their preferred growing medium. Please can you tell me, if I use 3 cans of coconut milk, should I triple the time in the microwave? and should I triple the amount of yogurt I add? Thanks. love your site! Thanks! I don’t know how long to microwave for. Check after 2 minutes and see if you need more time. I definitely suggest checking the temperature with a meat or candy thermometer (if you go over, it’s okay, just let it cool to 115 before adding the yogurt). And then yes, do triple the yogurt. Hope this helps! Yuck! Microwaves irradiate your food and make them carcinogens! Microwaves will not make your food carcinogenic unless you drastically overcook said for and it is reduced to blackened carbon. As for microwaves irradiating your food, yes. Yes it does. That’s how microwaves work. Your mistake is in assuming anything irradiated is innately bad. The sun “irradiates” everything it touches to some degree. It isn’t really an issue. Have you been near an electric field in the last day? (you use a computer, clearly, so the answer is “yes) – Congratulations – you’ve been exposed to EMR and have thus been “irradiated”. Common sense, rational free thinking, and fact checking go a long way to preventing misinformed outbursts on the internet. If you’re determined to forgo any consideration of the scientific method when forming your opinions, please at least do others the favour of not disseminating said opinions as fact. Does this recipe produce yogurt type consistency? I have tried 2 different recipes using my yogotherm yogurt maker and have only produced something equivalent to milk. 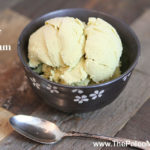 Would I be able to use my yogotherm with this recipe? Try using full fat coconut milk (cream part only) or coconut cream. We are avoiding thickeners of any kind because we are on a GAPS diet. So, guar gum is a definite no-no. I am thinking of trying the boxed coconut cream by “Lets Do Organic” along with ground chia seeds and see how it goes. You never know. They don’t need to be put back into cows milk after a while? Also, do you know of any sources that prove the grains are dairy free? My son can’t have any dairy, but I’d love for him to have kefir again. They do need to go back into cow’s mik or goat’s milk after a while to recharge. You can rinse the kefir grains in between and even throw out the first batch of coconut milk kefir to be sure not to transfer any milk proteins. Another option is to use water kefir grains (I don’t know how they grown in th high fat environment, but you could use them with juice for a probiotic beverage). How often would you put the grains back into cow’s milk? You said to strain at room temperature for kefir cheese? How long do I have to leave the kefir straining on my counter before it can be refrigerated? How long is it safe for it to go unrefrigerated? I would also like to know if you have any experience with “how long is too long” or what to do if you let them go, say, a week 😉 I put them in the fridge, it is like coconut milk cream cheese? But, not quite sure how to get the grains out or if I ruined them? They’re probably okay. Warm the coconut kefir in a warm water bath (like fill your sink or a pot with warm water), then strain and get them into some cow or goat milk to revive them a bit. Thank you 🙂 Hoping they are well on their way to revival and health! 1) How do you label your jars? The picture looks a little like post it notes or masking tape, but I am doubtful that it is either. I’m struggling with an easy labeling method and not having unknown contents floating around our fridge. 2) How many batches do you make before you recharge your grains in milk? I am getting new grains on Friday from a friend after I killed my prior ones by putting them in the fridge too often and I want to make sure that I don’t kill these too. 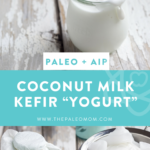 I killed mine when I was still drinking dairy so I’m even more nervous about it with homemade coconut milk, but so excited to be able to get the benefits of kefir from coconut milk! Thank you for sharing how to get full fat coconut milk at home! I think my Vitamix is going to get even more of a workout! It is actually masking tape. For the healthiest grains, about every 4-6 batches, do one in goat or cow milk. I’ve let mine go as long as 2 months, but then I had to give them about 4 goes in milk to recharge them. They really like fatty milk, so whole milk or even whole milk with a little cream added is best. why a metal strainer? I keep reading everywhere else to not let my kefir grains touch metal. Thanks for the directions! I never read that. Mine seem fine. You can use other materials if you prefer. I read that too recently in a probiotic cookbook! It says “because metal bowls and utensils can (theoretically) transmit small electrical charges that harm probiotic organisms most fermenters prefer to use [non-metal]. Now, whether or not this true is a completely different question. I used to make cow’s milk kefir all the time. I started with a metal strainer and got satisfactory results for many months, but when I found a plastic strainer and started using that, the difference was undeniable. So, if you can find one, a plastic strainer does make for a superior product. I am hoping it is ok to post this here. I am just comfortably getting into fermenting foods. I am good with veggies, and so I thought I would move to kefir next. But as I am reading and learning I am finding that many feel the benefits are lost when you use a masen jar or jars that are not sealed air tight. I am finding this a little confusing and overwhelming when I am just trying to help myself and my family make healthy choices. Thansk so much for your thoughts. Certainly the kefir will eat the sugar, but they like to live in a high fat environment and I’m not sure you’ll get that from a carton. 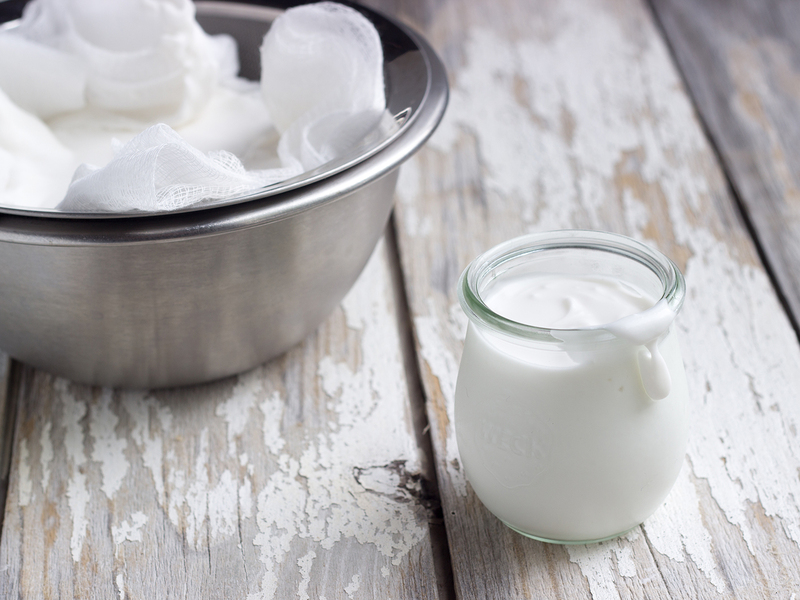 The probiotic method is more of a traditional yogurt method. I don’t have a recipe for that but there are some out there. I tried making coconut yogurt using probiotic capsules (they have to be alive and I found that not all are, even when bought in the refrigerator section), store bought coconut yogurt + probiotic and then using my own starter. Sometimes it worked, sometimes it didn’t. Nasty sulfur smell when it didn’t. After reading your article, I tried using my kefir beads and BINGO it works. I’ve made it 5 times now. Foolproof. And this week I left them in 48 hours accidentally and ended up with greek yogurt consistency. THANK YOU. OMG i just made this and it is AMAZING! thank you Paleomom. I live in Australia and my Swedish husband has been missing his sour yoghurt from home…until now. this stuff doesn’t even taste like coconut once it is done. with the addition of berries it’s just like being in sweden. thanks so much. Oh and just one question. Can I use the exact same process with cows/goats milk? I have a jar of plain coconut kefir from a health food store. Can I just use some of that to start my own batch, instead of the grains? If so, do you know how long it would take? I don’t think so, but I’m not 100%sure. Hi! I’m wondering what type of protein content (if any) the coconut yogurt would have. I follow a lacto-Paleo diet since I don’t want to give up my (full-fat) greek yogurt breakfast (which has ~8 g protein per small bowl). If I go the coconut yogurt route, am I just getting fats? 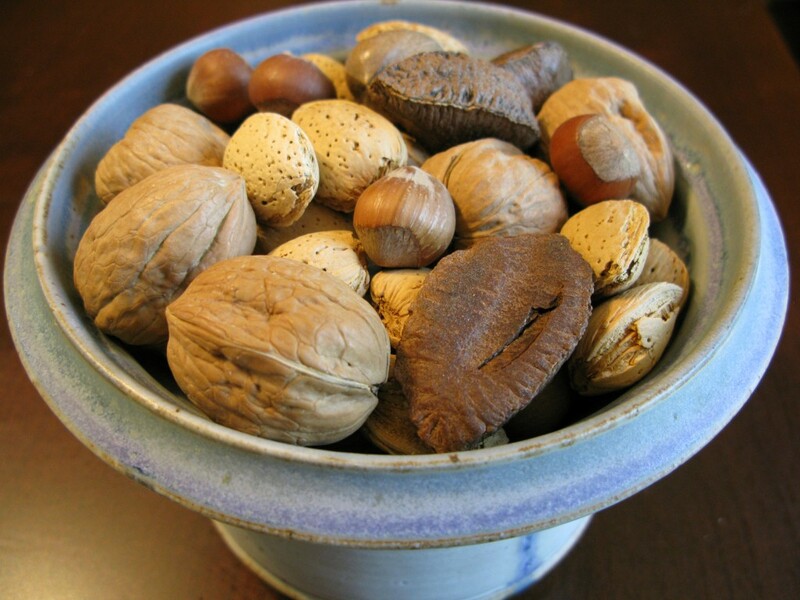 I could add nuts, but that will still increase the fat. Depends on exactly how it’s made. If it’s made with gelatin as a thickener, it will have some protein. Otherwise, it’s not really a protein source (very healthy fats though). I’ve started my first batch last night and I am sooooooo excited to try it! I’ve looked a little into it, but I haven’t found a good source of info, but is the whey that drains out when making coconut milk yogurt a protein source? I know that it is when you’re making it with milk, but would it be using coconut milk? I am following AIP but I also only eat fish or shellfish for protein. I need a quick breakfast with some protein and I would love to make a smoothie with the leftover kefir. Thank you! I’m curious about adding honey or other non-refined sugar sweetened to help thicken it. I’m not eating Paleo, but I have recently learned I have a several allergy to all dairy (not lactose intolerant, think celiac, but with dairy), oh and here’s the other awesome one, sugar cane allergy. My frustration that has led me to looking for a way to make coconut yogurt is that even the plain coconut yogurt sold by So Delicious has sugar cane. Maybe it’s not enough to bother me, but I have wondered why they put it in the plain milk. What I’ve gathered is that the bacteria need some type of sugar to feed off of, they normally can use the lactose in milk to feed off, but since my problem isn’t lactose intolerant regular yogurt won’t work for me. I have a limited amount of time and I’d like the coconut milk yogurt to work. Has anyone tried using honey or agave? I understand they may not be Paleo friendly but maybe someone knows of something that the bacteria can feed off and have tried it with success. Please post if so. Thanks! Can you use So Delicious Coconut milk kefir and then strain this to make yogurt? Do you strain in the refrigerator or on the counter top? Can you make the kefir without cow’s milk, only coconut milk? I am allergic to dairy: casein and whey. I don’t know if this would work with So Delicious. Kefir grains need to be refreshed in dairy (goat, sheep or camel would work if you really want to avoid cow), but you don’t need to drink that kefir and you can rinse the grains well before putting them back in coconut milk. Okay I have been experimenting with kefir this past week for my first time ever. My kefir water and sour dough bread made from kefir water, working great. I also got milk kefir granules and decided I liked THIS way of making my yogurt over getting culture starter and yogurt maker, etc. so I plumped up the grains all week with whole milk and it made it daily into yogurt consistency so then they were ready for my full fat can of Trader Joe’s milk, I followed your recipe to a “T” and yes, the kefir tastes right, nice and sour BUT it’s not thick at all, it went right thru cheesecloth and I even bought that kefir strainer on Amazon you suggested and it pours right thrust. Any suggestions? So when I do milk…it’s thick, when I do coconut milk its watery. Interesting. I’m thinking your milk might be too warm. Have you tried straining aft chilling? Chilling did not thicken it, I will try again. Promptly made my hubby some milk yogurt and it’s great and straining fine. I’ve also been doing water kefir but not sure my body likes it much yet, due to sugar in it. The other option would be to add some gelatin to thicken it. Maybe dissolve 1-2 tsp of gelatin in some warm water (or coconut water or coconut milk) and then mix in. My first thought was maybe you didn’t let it ferment the coconut milk long enough? Maybe let it sit a day or two longer? The changing season’s seems to really effect how fast my kefir and kombucha take to be ready. You don’t have it in the fridge, right? Hi thanks for replying,I don’t keep the kefir grains im using to make kefir in the fridge.Im getting much better at making milk kefir now but still haven’t attempted using coconut milk,but I definitely will soon. I can’t find an answer to my qestions….once coconut kefir yogurt is opened how long does it last in the refrigerator? Store bought? or homemade? homemade lasts at least a week (maybe longer, but I’ve never had it around that long). Store bought should have a date on it. To make a truly dairy free coconut milk kefir, pour 1/4 cup water kefir (not the grains), into 2-4 cups of coconut milk. Let ferment for 24-48 hours just as you would ferment any kefir beverage. There is enough bacteria in just the water kefir that it should work. I’ve read this, and am about to try this myself. A friend gave me water kefir grains, but I want to make coconut milk kefir and yogurt, so this should be a fun experiment… I hope. I’d like to hear how that went!! It sounds interesting!! How’d it go with this method? I am not the original poster, but I tried this last night with ¼ cup water kefir (made with organic whole cane sugar), 1 Klaire Ther-Biotic probiotic capsule, 1 Tablespoon of Great Lakes Collagen (green canister), and 3 cups of pure coconut cream from the top of two cans of Natural Value 100% “Natural” coconut milk. I whisked this together and put it into four ½ pint mason jars with the lids screwed tight and left it in my oven with the light on all night. This morning, each jar had separated and was thin & slightly bubbly at the top and watery at the bottom. It tasted kind of kefiry, not very yogurty. I shook them back up and put them in the refrigerator to chill. I let this culture for 9 more hours in the fridge. Then it became much more tangy, thickened and yogurt-like, and I added a teaspoon of honey and some chopped strawberries. It was good, but the texture is grainy. I tried to change my expectations of what texture yogurt is supposed to be, but it was rather unpleasant. So I put the next jar into my vitamix and whirred it on high just a short bit, hoping to make it truly creamy, but something about it changed and it became very thin & watery, when it had been thick and yogurt-y before I blended it. I added a spoonful of honey and some blueberries, but it was more like eating a drink with a spoon. I’ll probably do this again, but I think I’ll do it with water kefir grains and see what happens. This is so helpful!!! My son has been grain free/sugar free for a while but recently tested positive for whey, casein, and egg whites. He drinks almond milk, store bought :-(, (just can’t keep up with his15 yr old appetite and all the cooking & baking), but needs probiotics. I suspect he’s reacting to these foods because of leaky gut. I’m scared of him developing an issue with coconut and almonds as they are such staples. Would you push through anyways? What else is there to eat? I have done GAPS and SCD and am familiar with introducing cultured dairy back in at some point for the probiotics and healing, but not sure of all that anymore. Any insight would be so helpful!! Can you get him to eat fermented vegetables? You could try kombucha, or a supplement (talk to your doctor about Prescript Assist). Now that I read this and your FB wall post, I think it would be helpful to read up on the autoimmune protocol (especially all the why posts since they Erie very relevant to healing the gut). Help please! I have made several delicious & creamy batches of coconut yogurt with Thai Kitchen brand full-fat coconut milk. Trying to be more economic and avoiding guar gum (SCD diet) has led me to two botched attempts at making coconut yogurt from homemade coconut milk. First I tried two teaspoons gelatin which was a complete jello jiggly mess. Last night I tried only 1 teaspoon gelatin and its very watery, but I bet straining it would do the trick. The biggest issue is that the cream is still hardening to the top. Obviously, warming my yogurt sounds very unappealing and I would worry that might kill all the good probiotics I just made. This never happened with Thai Kitchen. Any suggestions? Thank you! I use 1 1/4 tsp gelatin for 1 2/3 cups coconut milk (for convenience sake these days I use an emulsifier-free canned coconut milk). Stir before you refrigerate and it works quite well. Love all the info and about to embark on the Auto immune protocol!!! But several things – all the info I have on any type of kefir stresses keeping the grains away from metal – spoons, strainers etc as it is bad for the grains.Stainless steel is just ok but plastic or wood are the preferred options. The second thing is I have been making lots of coconut water kefir using the water grains – no sugar needed!!! and you can add fruit juice, ginger etc to the 2nd ferment for a really refreshing drink. kefir grains and the milk you give them should never come into contact with metal. I’ve been growing milk kefir daily for 3 years and was taught that the No 1 rule is NO METAL as you’d otherwise kill the grains. Can I put kefir milk into hot/ warm porridge without destroying the bacterias. Depends on how hot it is… anything above about 100F will kill them. First, what is kefir all about and why is it preferable over using a yogurt culture? Is it higher in probiotics? If not strained, would it just be more like a yogurt drink? Can the stuff that’s strained outbe used somehow? I recently found a Greek kefir product on my small rural grocery store shelf. I was very excited to try it and like it over fruit or in smoothies. Could it be used to “start” coconut yogurt ? I made this yesterday, and it is already gone! I used half for ranch dressing and the other half I ate with berries and a drizzle of maple syrup. Thanks so much for this recipe! Can’t wait for my next batch of kefir to finish! I have been using 1/2 tbsp. of homemade water kefir mixed with a can of coconut cream. I put it in a jar in the oven with a light on for 12-24 hours. Today, I got home late and the yogurt had been in the oven for 30 hours. The jar was pressurized (fizzed like a soda when I opened it) and the yogurt was dry and cottage cheese looking on top. Is this still ok just to mix back in and eat?? I feel ridiculous asking this question but…I’m asking anyway. Every can of coconut milk I have ever bought, guar gum or not, is separated, cream at the top, watery stuff at the bottom. Before adding the grains should I mix them together so they are more like “milk” or just leave it separated? Thanks! I wish you lived closer so I could raid your fridge. Just starting out in the Paleo lifestyle, lil overwhelmed. BUT ty for all your useful advice. Thank you Sarah for these instructions. A brilliant way of making really delicious yogurt. The straining took me the best part of a day in the fridge (with 1 can of coconut milk) and at least six layers of muslin cloth. The end result is very creamy, thick yogurt. Lovely! 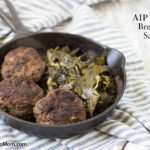 how would the recipe be different if I purchased live grains? Hi Sarah, have you ever tried freezing this yogurt? I wonder what it’s like when frozen. So you can put water kefir grains in juice?!? Do you still need to do two ferments? It’s way easier to strain the coconut cream BEFORE making your yoghurt (and I suppose kefir? though I haven’t tried). Just refrigerate your cans upside down overnight to separate the cream from the water, then in the morning gently invert, open and strain off the water. From here, make yoghurt/kefir as per your preferred method. I use an EasiYo yoghurt maker, which is basically a thermos with a space at the bottom to fill with boiling water. Cheap, no electricity required and it works really well for me. I dump the strained coconut cream (2 cans’ worth) into the EasiYo container, stand the container in a sink of cool water for a while to bring it up to room temperature, then stir in a 30 billion probiotic capsule. Then it goes into the EasiYo for about 28 hours (I like it tangy). I have had perfect, thick, creamy yoghurt every time and it’s dead easy. What about using some cultures from cultures for health to make yogurt, even though they have milk in them. The milk kefir grains also have milk, so I am assuming you are using water kefir grains? Sorry I just read the post again and I see you are using milk kefir grains. I am going to assume that the yogurt cultures would be fine. I was wondering if you have to add your grains to milk every now and then to keep them alive. On the Cultures for Health site they state that this is necessary. How much Kefir can you drink/eat a day to get the benefits? Hi — sorry if this has been answered but I can’t find a specific answer about it. If left to ferment too long it does produce more alcohol. If the weather is warm, shorten the 48 hour fermentation time to 24 hours and it should go back to being slightly sweet and bubbly, rather than tasting like something more akin to a wine cooler. I cannot tolerate alcohol at all, so I do need to watch it with the water kefir or else I start feeling all warm and fuzzy. Not quite the effect we’re going for here! but could you tell me that is ok? It is from cow milk and I’m not sure. I’ve been making my own coconut milk kefir for a while and recently tried using full fat coconut milk with guar gum. Normally guar gum gives me a tummy ache and I order full fat coconut milk without additives. However, I tried fermenting the full fat coconut milk with guar gum and was pleasantly surprised to find that my tummy was happy with the resulting coconut kefir. I believe guar gum is a prebiotic so I suspect the kefir must break it down. I’m also hoping the kefir will populate my gut with the bacteria strains that break it down so maybe eating unfermented coconut milk with guar gum won’t bother my tummy any more. Here’s hoping! I wonder if anyone else has experience with this? I thought, you can’t use anything metal with the kefir grains, seems like it’s not true then? Stainless steel is the only metal allowed. I’ve used a stainless steel mesh strainer for my raw milk kefir for years without any problems. I think I will stick to traditional Armenian yogurt (madzoun) myself which is made from cow’s milk, but will file this away for anyone who can’t digest milk. Thanks for sharing! So I am dairy intolerant. All parts of dairy…so I’m wondering if I can use the milk kefir grains? 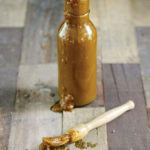 Is it at all possible to make this recipe with water kefir grains? 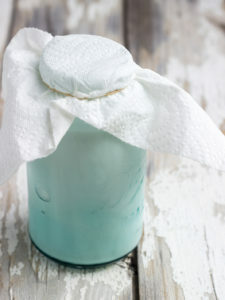 You can easily make yogurt with water kefir – it’s my preferred method. Just add (surplus) grains to coconut milk. Leave at room temperature for 12-24 hours (taste every now and then to get an idea and to find your preferential level of acidity/sourness. Then put in fridge if you want it cold. You can just eat it with the grains or strain it. You now have very active coconut milk yogurt and you can use it as a starter and keep it going; or you can repeat the method anytime. I sometimes add a bit of sugar for the grains to have a feast. You can also add coconut oil if you want it fatter. With this as a base you can quickly make differently flavoured yogurts – with differing degrees of fermentation, for different palates – by adding for example kefir fermented and blended pear – smooth – or any other kind of fruit or maybe avocado to make it even fatter. And so on. It’s part of the usual breakfast we offer our guests. Hi Martin, how much water kefir do you add to say 1 cup/250mL of coconut milk? I’ve been making kefir (both dairy and coconut) for a couple of months now and have decided to go Paleo and was worried about my wee grains starving if not put back into dairy milk to “recover”. Have you had any issues with your kefir grains when used solely in coconut milk? Not sure what happened but I just wasted a quart of homemade coconut milk. I used to make goat milk kefir religiously, so I’m familiar with the process. Took kefir grains that gelled a quart of organic cow’s milk solid in 24hrs (proves they’re active), rinsed them in filtered water since I’m still on strict AIP & followed the instructions above. Ended up with a disgusting sour watery “milk” & a layer of sour coconut fat, nothing remotely resembling yoghurt. I’d really love some “yoghurt” – any suggestions? Use water kefir grains – they are more versatile. I think rinsing the MK grains in water may have been the issue. The way I understand it MK grains don’t like water so if you need to rinse them (it’s preferable to just never rinse) it’s best done with milk or in the case coconut milk. I think your safe not rinsing them at all and just moving into the coconut milk even for your purposes because the mammal milk properties are turned by the grains anyway but I understand your desire to have that total separation to make sure. The other option that just occurred to me is after straining off the cows milk let them sit in a small amount of coconut milk (so make a very small batch) strain that and then make your regular batch. This way they will be coming out of coconut milk kefir before making the first batch you drink. Sarah’s link in the original article is to milk kefir grains, which is what I have. I’d like to know why mine failed so miserably, since others have succeeded with the milk kefir grains. If anyone has any ideas, I’d appreciate it. Since you want to avoid the milk – presumably the casein – just use water kefir grains, since they have none of that. Thanks so much for the detailed response, it was just what I needed. Water kefir never worked well for me — too much residual sugar for my pre-diabetes — but the linked article suggested rinsing in the target milk when changing milks, so I will try that. Again, thanks for taking the time to response with more details. If you have sugar residues, then you just need to ferment more. Primary fermentation in sugar solution: 24 h. Then strain and discard surplus grains – usually, if they are in good sugar, they will double. Then I perform an intermediary fermentation in a large bowl either with surplus grains (so that this stage does not put too much of a strain on your grains and wear them out over time) or without them for another 24-48 hours. During this stage you can ferment “any”thing in the liquid you like – both to give taste to the kefir liquid and to break down sugars in for example fruit, so that you can get the good stuff of, say, fruit without or with much less sugars. (I leave fruit floating in there for about 24 hours, then take them out and make fruit smoothies.) The intermediary fermentation is completed when you are satisfied with the sugar content – once it tastes more like vinegar than pop, sugars are gone. Finally, a secondary fermentation in a pressure bottle with a swing top will give you a carbonated drink with whatever taste you added during intermediary fermentation. When I am satisfied with the intermediary fermentation, I add about one tablespoonfull of honey per pint of liquid, stir in well, then pour into bottles and close the top. Now the fermentation will continue and the honey added will be converted into the good stuff you want and produce a fizzy drink without sugar in 24-48 hours. Lasts for weeks, if nor more, in fridge. During the intermediary fermentation I commonly add blended, fresh turmeric and ginger and whole fruits. Good tastes, higher bioavailability of medicinal herbs/roots etc. You can also add green tea, or coffee – just experiment – during this stage with no risk of killing your grains or wear them out over time, since you keep your main grains exclusively in the 24h primary fermentation in sugar solution: nice and clean, safe and sugar free. As I understand it WK while having different strains of probiotics doesn’t have as many probiotics or as concentrated a population of them as MK. This is why people during both MK and WK but they say if you are only going to do one and use it for the health benefits, go with MK because you get more bang for the buck so to speak. It may very well be worth it but depending on what a person is trying to accomplish by drinking kefir, the difference in health benefit might be an important consideration too. I know for me, I started with MK because I need the maximum probiotic and health benefit and then added water kefir as well. So I just got water kefir grains and they’re in a pouch of starter liquid. Do I put the grains and liquid in to the coconut milk or just the grains? Wow! I love the detail that you put into the instructions. Any chance that there might be a video to follow. It seems a little daunting – although, I suspect it is probably easier that I expect. Also, is there a Paleo friendly store bought kefir that is available? I am following the autoimmune Paleo diet so I need to steer clear of certain things a bit more strictly. Great information. Thanks so much for sharing all your knowledge. I recently made my first batch of coconut yogurt using vegan yogurt culture and my yogurt maker. I added gelatin and achieved a nice thick yogurt. However, I too love the tangy flavor of kefir, so the idea of using kefir grains is wonderful. I use canned whole fat yogurt. Any suggestions on how to blend a separated can of milk without heating it before adding the kefir grains? I would like to know if your products are halal certified? If your company products have halal certification may I please have a copy of your halal certificate or at least a list of your halal products. My husband has Ulcerative Colitis. He has been on AIP for over a year now and has seen a great difference. He has always been lactose intolerant but could handle custard and yogurt. Since being AIP he occasionally has cow milk yogurt and recently we have been making Kefir with cows milk. He has not had any noticeable reactions to it. But what is your take on someone with UC consuming the cow milk versions? Like many, I am also very intersted to hear if you’ve had any reactions using the dairy cow grains. Cultures for Health has recipies for culturing coconut milk with water kefir grains for a “100% dairy free option”, but they also tout milk keefir being so much better than water kefir, so I would love to use milk kefir grains. I am just concerned I’ll have a reaction to it since it’s not “completely dairy free”. Has your daughter tried eating it? She has such severe reactions to dairy that I would feel confident that if she could eat it, then I could. Thanks Sarah! 1. can you please tell me how much water kefir grains I should add to the yogurt? 3. can i use left over yogurt as a starter for next batch? 4. as i will be using water kefir grains, should i NOT strain them as they will not be fermenting water, or now how would i store these grains after straining from yogurt? 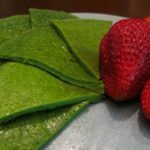 Can I use Kefir powder? I purchased it at the Health food store, they did not have the live grains. I’m wondering about the comparison between the MK and CMK product. Is coconut milk kefir whey actually whey? Is it the same bi-product as whey from cows milk kefir? Are the strains of probitoic the same whether cows milk or coconut milk are used? Are they determined by the grains or the milk and the way the two interact? I know I’ve read that leaving the strained 1f out to ferment for a few hours without the grains enhances the vitamins and nutrients in it but I don’t know if that applies only to mammal milk or all kefir. Any ideas? does anyone know if there is any difference in the amount and quantity of good bacteria in coconut milk kefir vs. cows milk kefir. Thanks. Iam doing alot research on kefirs and to share with everyone. Hello Sarah, allow me to ask you a question I don’t think is answered (or perhaps even asked) anywhere on the interwebs!? Context is that I’ve been using milk kefir grains to make raw dairy kefir and coconut ‘milk’ kefir and almond ‘milk’ kefir for several months and am very interested in a kefir yogurt but without the additional steps involved in converting milk kefir into yogurt. So my question is, is yogurt itself, let’s say dairy yogurt, something to which kefir grains can be added and used to *directly* produce kefir yogurt? I am pretty sure that the cultures that turned the milk into yogurt have used up the nutrients that the kefir would normally use. It might work, but if I was you I would only try it if you have a surplus of grains that you don’t mind starving to death, while you keep the regular routine for your main kefir grains. I have Milk Keffir Powder which does not seem to produce grains. Do I just save a portion for the next batch rather than sieving the grains out? Hi! I am experimenting with using raw dairy whey (cultured with kefir grains) to culture my sons coconut milk. He does not have a dairy allergy. Just casein issues. So the whey is great for him on its own. Just trying to have a few beverage options. What do you think? The first batch of whey + homemade coconut milk SMELLS cultured. Just not sure how big the probiotic effect would be. I was under the impression that metal was bad for the kefir grains? Hi hope you can help! Please! Tried making this but all of my pots look like your picture of kefir, not creamy yogurt! Half of the pot if full of liquid with only yogurt on the top half & if I mix it together it is very thin. Any idea where I went wrong? Too hot maybe…. Hi! I have a quick question about step 3., it says to place the kefir grains into fresh milk to start the next culture. Does it mean milk as in cow milk or “coconut milk”? I have heard that kefir grains needs cow milk, we cannot use coconut milk for very long time. Is it true that we have to feed cow milk to kefir grains once in a while? Thank you! Is it possible to inject the kefir into a whole coconut using a syringe? Would that be better, worse, or the same? Can you use Vegan Kefir grains? Do I use the whole can of coconut milk or just the hard part on the top? Thank you! You’ll use the whole can. The link for the Milk Kefir grains on Amazon is no longer working. Does anyone know which ones to buy on Amazon? Great post and very informative thanks , just one quick thing not sure I understand how are you still using a microwave???? .